For 1 month only! To celebrate our recent expansion we are offering the Level 5 TQUK Certificate in TEFL at the drastically reduced course fee of £125. View this remarkable offer at https://teachenglish.co.uk/…/ofqual-accredited-certificate-… This course will change your life and qualify you to teach English virtually anywhere in the world. UK government approved. Check it out today. The snow has gone. The sun has finally arrived so now is the time to start Spring with a new career. There is a TEFL course waiting for you. We also offer other qualifications in Education and Training as well as management and leadership. As the last days of 2017 draw to a close and a new year is on the horizon, LTTC looks back upon another successful year. 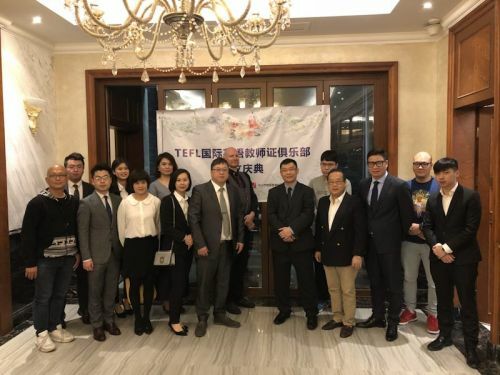 New partner schools have joined us and we wish them a long and fruitful journey with us as we all work together to bring training and education in teaching English around the world. New opportunities for branching out into Business course training were born this year and we hope that this will greatly benefit our partners and students alike. We continue into the new year with more accredited and recognised course programmes being developed and we look forward to welcoming new members of the LTTC 'family' of schools as they prepare to offer our ever growing range of educational programmes. May all our students prosper and develop as both human beings and teachers as we reach out to all those seeking education for both themselves and those they teach. This course is designed for learners who wish to complete a knowledge qualification and are most likely employed as a middle manager (although this isn't essential). Learners could also progress to higher education to undertake business related or other qualifications, including degrees in areas such as business, business management, and business administration. There are no specific entry requirements however learners should have a minimum of Level two in literacy and numeracy or equivalent. In order to enrol please contact us by email lttc@teachenglish.co.uk for details on the registration procedure. 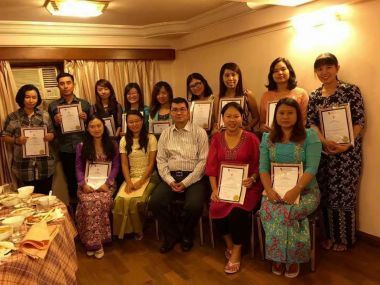 Well done to all graduates at the Mandalay TESOL Centre in Myanmar. LTTC wishes you a successful teaching future. LTTC partner school Mandalay TESOL Centre in Myanmar. Summer has finally reached the UK and we would like to direct your attention to our range TEFL and TESOL courses. . These would be ideal for perhaps a student at college or at university on their summer break wishing to gain a very useful and practical qualification . These can be completed well within the 6-10 week holiday that most students receive and would provide an interesting and lifelong qualification. .
Why not take a look at our Level 5 TEFL courses? A free 'taster' course is available allowing a glance before going on to enrol onto the main qualification. .
Don't delay. Get in touch with us should you have any questions or want to know more! London Teacher Training Collegeis delighted to confirm that after working in partnership with TQUK, the OFQUAL Regulated Level 6 Diploma in Teaching English to Speakers of Other Languages (RQF) is now available to learners. Since 1984, LTTC has been providing TEFL courses to help thousands of teachers gain a recognised TEFL qualification from all over the world. Based in South London, LTTC prides itself on the quality of its courses and the individual attention that it provides to every student who enrols with them. It is these qualities which were recognised by TQUK when LTTC were approved as a centre and when LTTC approached TQUK about the possibility of developing the Level 6 Diploma in TESOL, it was an obvious and easy decision to make. Along with being the first TEFL (Teaching English as a Foreign Language) provider that partnered with TQUK back in 2014, LTTC were the first TQUK recognised centre to be allowed to run regulated qualifications and Endorsed TEFL/TESOL programmes. Training Qualifications UK Managing Director Andrew Walker said: ‘We’re extremely pleased to have developed the Level 6 Diploma in TESOL with London Teacher Training College. They have an excellent track record for providing first class training and have been an exemplary centre of ours since they joined TQUK.’ ‘We pride ourselves on being able to adapt to centres needs and requirements quick and effectively, once LTTC approached us regarding the development of the TESOL Diploma, we jumped at the chance to get the course up and running.’ The mandatory units included within the qualification include language theory, language teaching methodology, classroom planning and organisation and linguistics and language teaching. If you would like to learn more about the OFQUAL Regulated Level 6 Diploma in Teaching English to Speakers of Other Languages (RQF), you can find information regarding the course via the London Teacher Training College, alternatively you can find the qualification specification and information sheet on the TQUK website. London Teacher Training College is proud to announce that the Level 6 OFQUAL Regulated Diploma in TESOL is now operational. to contribute to the development internationally of TESOL as a mature, qualified and regulated profession and act as a benchmark for employers and others with concern for the quality of TESOL. to enable teachers to develop their career paths by seeking promotion to senior posts, materials development and teacher training, etc. All candidates should possess a first degree or equivalent and have at least two years teaching experience. Candidates may hold other types of qualification to a degree demonstrating evidence of sustained academic study which would potentially enable the candidate to cope successfully with the requirements of the Diploma in TESOL. If you're unsure about your eligibility, contact us at lttc@teachenglish.co.uk and we will assess your profile and let you know if you're eligible. The course consists of 4 modules and is around 372 hours of study. The qualification is assessed by internally set assignments and marked including essays and case studies assessments subject to external quality assurance. All learning outcomes must be met to achieve a Pass - there is no grading. The fees are £1200, which may be paid in 4 installments, or in 1 sum. The London Teacher Training College is proud to announce that in October 2016 we will be offering the OFQUAL regulated Level 6 Diploma in Teaching English to Speakers of Other Languages. We will be adding this qualification to our website over the next couple of months. Should any student be interested please feel free to email us for more details. Dr Phyllis Vannuffel - Principal of the London Teacher Training College was pleased to welcome Mr. Anthony Lim of Dynamic Academy, Malaysia to London on the 14th June 2016. During the meeting various items were discussed and LTTC looks forward to continuing a fruitful partnership with Dynamic Academy who have been working with LTTC for over 10 years and have trained many students in Malaysia for the Diploma in TESOL course program. A new centre has been set up in Kota Kinabalu, Sabah, East Malaysia and it is exciting to see expansion of TESOL in Malaysia.